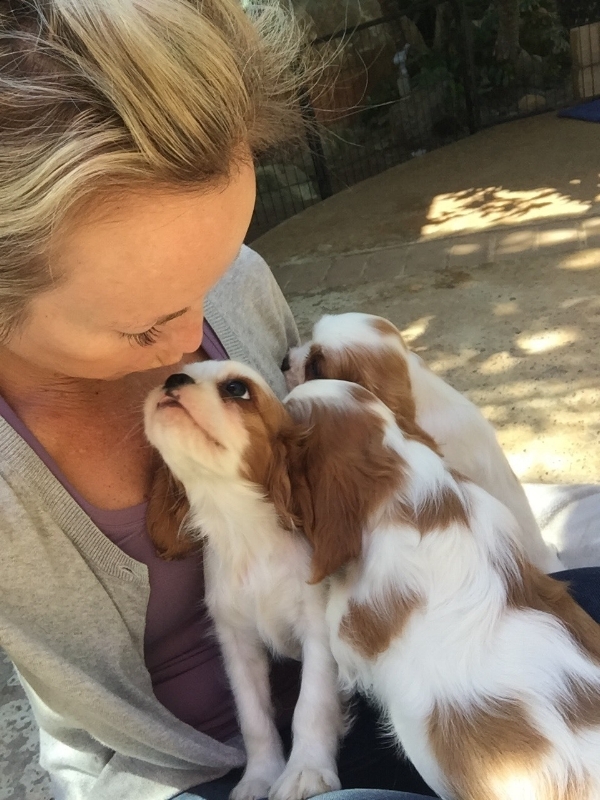 Birthdays, Goal & Gut Check, Puppies, Babies, - Is This Really Sheri? Last sunset at 36, never gets old. 10/10 each year I start a new lap around the sun. I actually love birthdays, more so to asses what’s occurred in a year. In one week, I celebrated a friend who passed at vow renewal, a friends grandma passed, a family heart scare, and all reminders that life so short, celebrate it. My last Sunday at 36, I joined Kellie, top fundraiser in San Diego for Pancreatic Cancer, for the second year in a row, in memory of her Father Peter, because… we all want more birthdays. Congratulations Kellie! I also feel a bit overwhelmed, (what are you doing for your birthday x 100?) leading up to it, so I took the day off meetings/work, and just planned a sunrise hike, and if you texted or messaged, I’m getting there, I didn’t want to spend the day on my phone. I want to do “nothing” planned as my schedule can be pretty “on”. I love every day like it’s my birthday. The quality (and quantity) of those wishes, is surreal a bit, and I am grateful this is a “good” issue to have. Thank you so much for sending me love, I do notice. I also go to yoga when I’m feeling this sense of overwhelmed, so Melissa (TRU LIFE) joined me at the Monday night One Love Movement Series, taking place all month @ Tower 23 Hotel in Pacific Beach. Next one is 10/15 Julia! HERE. A perfect last Monday at 36! If you went to charity yoga with this cutie and there is no photo, did it even happen? So, thanks universe for reminding me on my birthday eve, that my health, above all else, is my #1 priority. I have to put it before my marriage (to be a good partner). Before the list of “get to do’s”, before my career, finances, friends, community. I miss things for runs, pass on dinners for yoga, firmly. It’s carried over into recent doctor appointments recently, saying “no, thank you” to things I want to do, and even some healthy carbs at night. I know, right.? Long story short, I was very sick from something I ate, but it really reminded me how easy it is to cancel everything and come back to what’s important. My sweet gfs that I was hiking with came into my bedroom the next morning, flowers and cards, gifts and smiles, (after they ran which I love). My husband had stopped for some electrolyte water. That was better than any cake. Run friends know, low-sugar gummies? Less sugar for this girl! That day, I reread the vision for my life I wrote at a goal setting afternoon a year ago my girl friends, back on 11/26/2017. We don’t start with goals, we start with our values and priorities. I also do this for most group goal settings I facilitate, we start with some form of what we are grateful for currently, defining personal priorities, before goals, and before goals, your values. Values act as sort of guiding rudder below the water of your “boat” and the sails just guide you, well you just adjust and adapt, with the wind. By nature, we (in this case I) notice what’s not checked off, or accomplished, and truth is, it’s not a end all -be all, hard deadline, but part of my “vision” I want for my life isn’t really going to happen unless I make something happen! Part of it read “its the end of 2019 we (meaning Jason and I – I have to factor in I’m not in this solo anymore) have King Charles Caviler (I’ve wanted from for years but am responsible about it), and that working from home part time I am able to make sure she is loved, walked, and cared for. We have a child too. There’s that. Hmm. So there I was sitting there 37, home with food poisoning, still talking about a puppy, and working the later. So, I thought, I know my values, here’s my priorities, and if my vision included those things above, well then….? 1. Values (what’s important to you that never changes). Trust. Love. Faith, Higher Power, Commitment. Honesty. Kindness. Success. Etc. 2. Priorities (what’s most important now – and it may change) and “why” is it important. 3. Day Check - Look at your calendar, circle things that fall in line with your priorities. Schedule what’s important. Remove the rest. 4. Goals – merely written to create milestones (there are lots of tips on how to set strong goals), deadlines, and short-term progress. I’d could spend hours. - Some companies bring in goal coaches, I do it San Diego and love these work days, and some people have their own personal coach. I have coach my own too, she is tough, a personal life trainer and I still need to grow! 10/1/15, 3 years ago, leading goals with so many leaders and friends, in different places now, because they dared to vision it. Some one asked the other day “what you didn’t register for Boston (take that promotion, go on that trip? ), you qualified!” – It’s not important to me right now so I wasn’t fazed at all. “It allows someone to run who is excited to go”. Even today, my friends ran ten miles like we normally do, and I joined for 7, as I had committed to something of a topic that’s important to me. Supportive aren’t they? When you know your priorities, I feel like we need to explain ourselves less, and easier to assume everyone else is doing the best they can. It seems to work for me, or my “goal friends” to rank them in order of most important, to less important, because there are only 24 hours in a day, and each day is not allocated to just one priority. What if you (I) schedule those priorities / remove what’s not important (or you don’t want to do, or are doing to be liked, please someone, etc). There are still 3 months to do it, fresh start tomorrow, or right now. So, I treated myself like a “goal friend”. I’d rather be a “I learned” then “what if” or “when I’m ready”. Nationally, 12 teens die each day as a result of self-harm and suicide is the 3rd leading cause of death among people age 10-24 in the U.S.
Katie B (b_inspired) lead yoga and Tee Parrish, lead a workout, I just make it fun, and take photos (??). It’s ok.
Tee Parrish, lead bootcamp at #bewell La Jolla, she’s been an inspiration to me since I was 25. This little one belongs to the owners of Rush La Jolla and she is born on 10/10 Too! Also NOt a Party Animal - like me. So Old. Join me this month for two birthday parties (that are important to me). Ok they aren’t “my” birthday parties, but they will add life to your years! Fitibt Local – so excited for this one! Costumes, cardio, the UTC shopping center (mall), lululemon, DJ Kanoya! RSVP HERE. @MikeSherbakov and I really LOVE leading these free monthly workouts! The family piece, I have no idea if it will be easy to concieve, difficult, we’ve heard all the stories, I’m 37, but I’m doing what I can to learn about myself, and even acupuncture and holistic hormones and nutrition, with Kayleen at Holistic Zen, (in Encinitas - she’s wonderful!!) helps with sleep, cycles, everything! It’s hard to write down things that may not happen in the way we want, or at all. I learned about my thyroid being off, I’ve learned a lot, and that’s scary, but the scariest things are also very exciting, and are part of what makes life, living every day, not just being alive. If it’s important to me, to Jason, we have time, we can make it happen. If it is important to you, you have time, and you have time, you are blessed, make the most of every second doing things that move your needle. Best year yet – 37, I love the switch-up, and better sleep (thanks Kayleen) already.